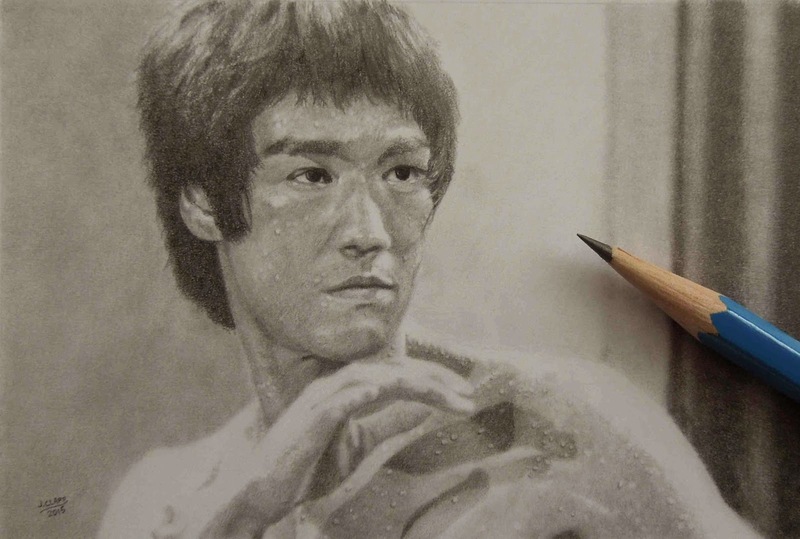 Here is another mini drawing, "Bruce Lee". The size is 3" x 4 1/2". 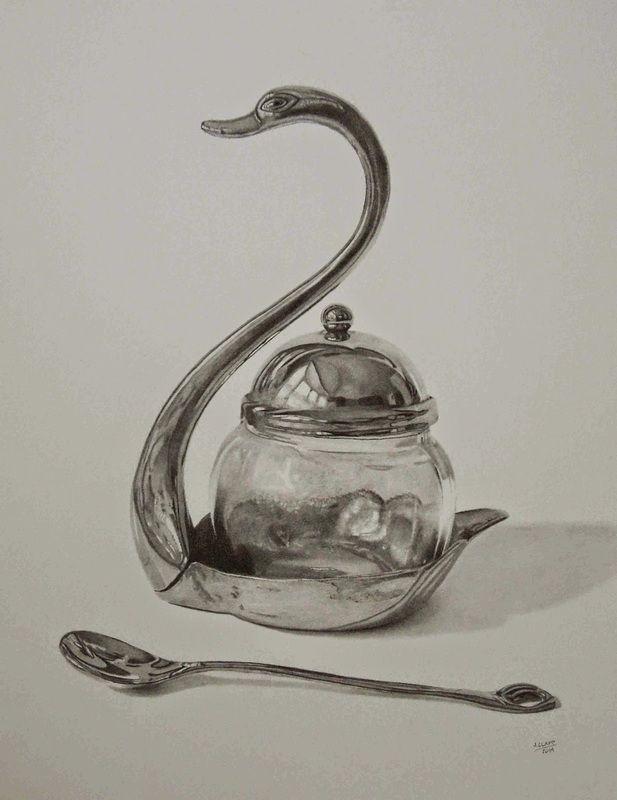 Materials used were graphite on Bristol smooth paper. Approx. 16-18 hours to complete. I would say the sweat drops on his skin were the smallest water drops I've done to date. Part of a pencil is included in the image to show the small scale. Enjoy! 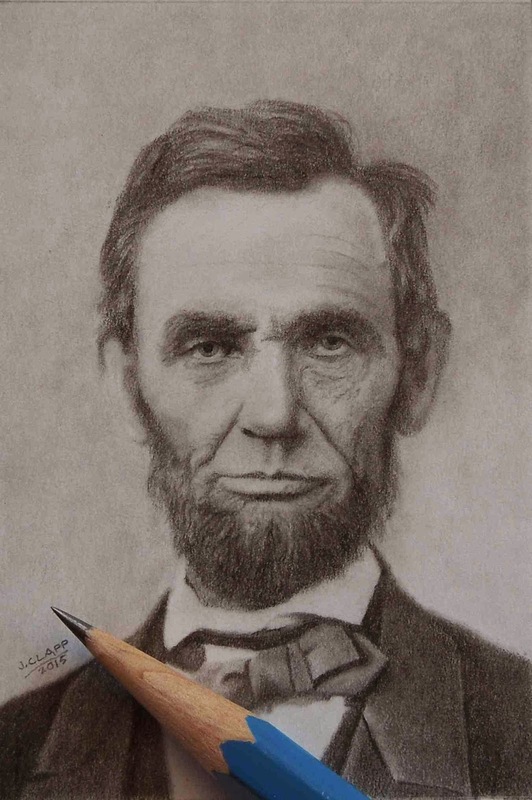 "Lincoln" mini drawing 2" x 3"
This is a miniature drawing of Abe Lincoln. The size is 2" x 3". Graphite on Bristol smooth paper. Completed in 2015. 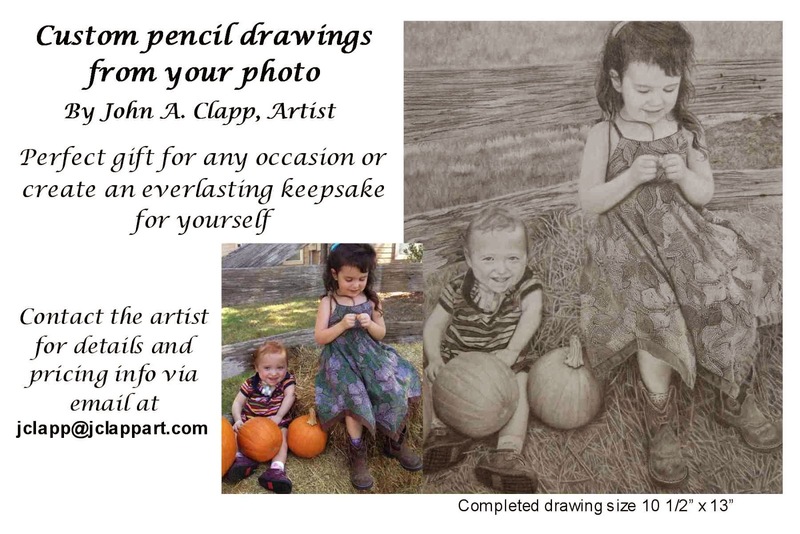 Please contact me if you would like your own drawing done from a photo. 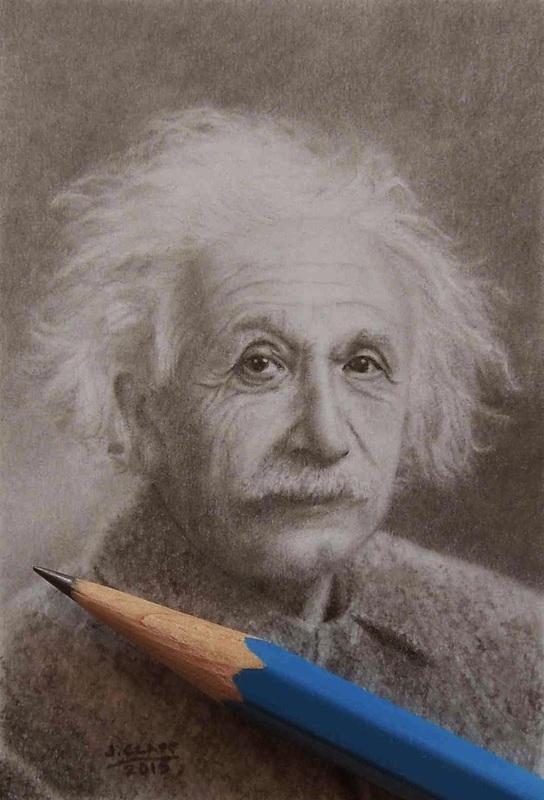 This is a hand drawn image of Einstein. 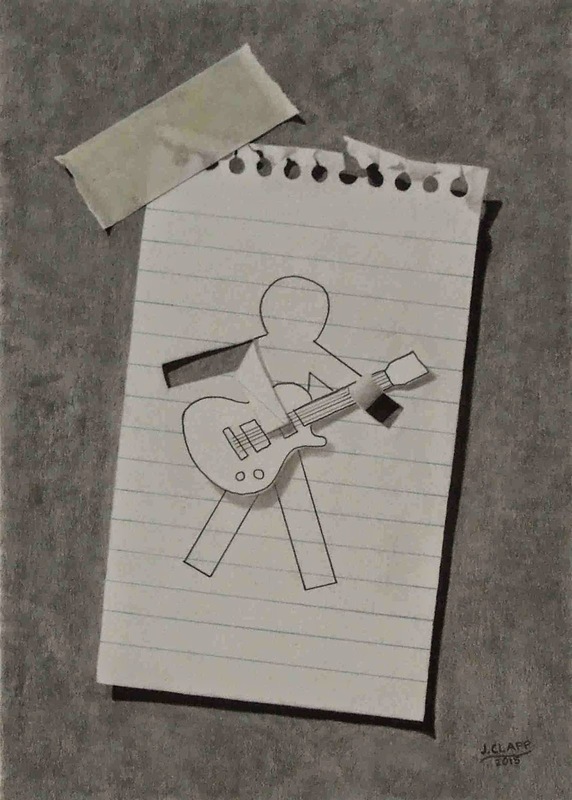 The size is 2" x 3" on Bristol smooth paper. 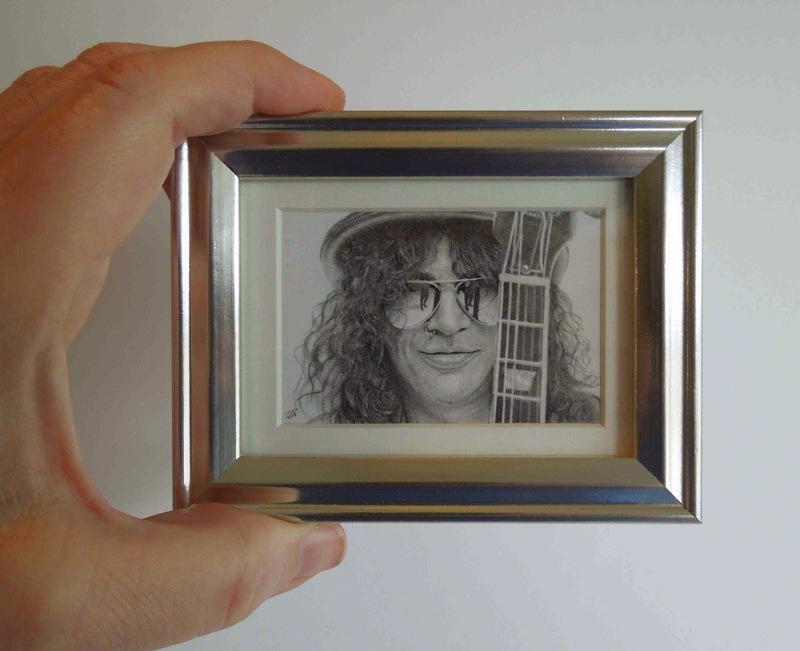 A pencil is included to show the scale. 10-15 hours to complete. 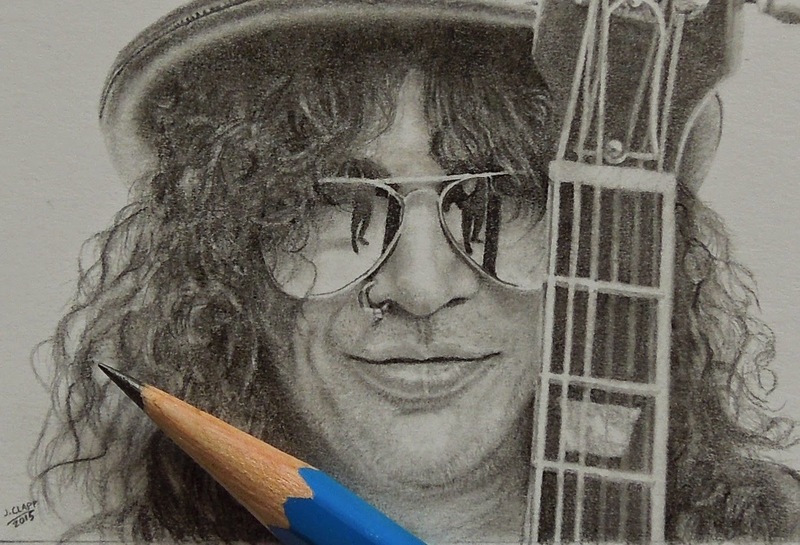 About this drawing: the entire image you see is drawn with graphite, carbon, pastel and colored pencils. 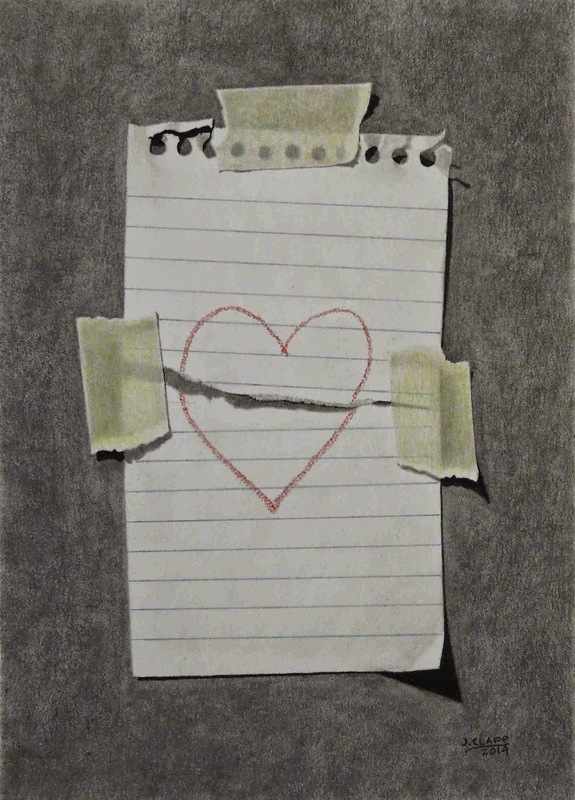 The background, tape and paper are all drawn. You can subscribe to my mailing list to be first to see a new painting or hear news about me. Please click the link below to receive and email from me every time I complete a new painting. Click here to subscribe to mailing list.